Golf teaching & research center. Fix a slice, lengthen a drive, improve ball striking consistency or turn a bogey into a par with fewer strokes on the putting green — there are countless ways to improve a golf game. Penn State’s Golf Teaching and Research Center (GTRC) can easily pinpoint errors that occur in a golfer’s swing. 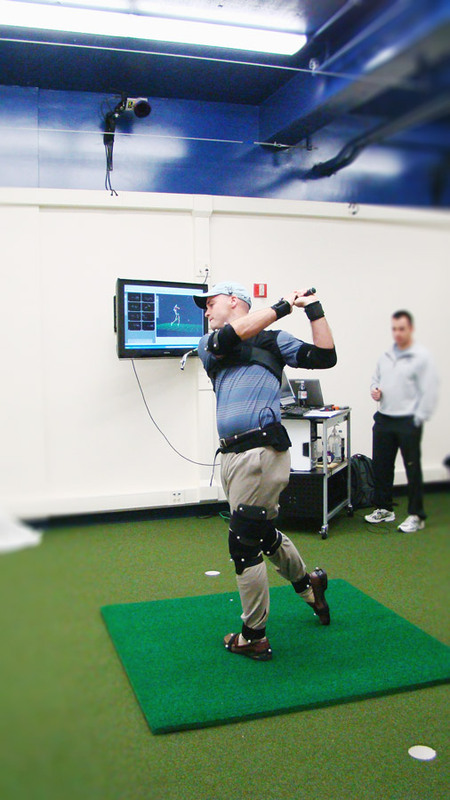 Designed to advance golf research and instruction, the Golf Teaching and Research Center (GTRC) at Penn State University opened its doors in November 2009. GTRC is a unique golf teaching and research venture. It provides a cutting edge, high-quality learning environment for students in the PGA Golf Management program, part of the Recreation, Park and Tourism Management undergraduate degree program. GTRC is equipped with some of the most advanced tools and technologies available to the golf industry. It offers its students a new perspective on golf and golf instruction giving them an advantage once graduated. In addition to the 8-camera Oqus motion capture system, the GTRC boasts a three dimensional Doppler radar ball-flight machine that predicts the trajectory and distance of the ball, a putting green, and club-fitting equipment. Being indoors, practice and learning becomes a year-round possibility. In addition to player development and instruction, the Penn State Golf Teaching and Research Center is dedicated to conducting relevant research that focuses on improving player performance. By combining university resources (PGA Golf Management program, Department of Kinesiology, and Penn State Athletics) with golf industry leaders, they are able to collaborate on innovative research projects and product testing. The equipment in the Golf Teaching and Research Center is more advanced than most other teaching institutions right now, which will give students a real advantage when they graduate. Eric Handley, director of the Golf Teaching and Research Center.